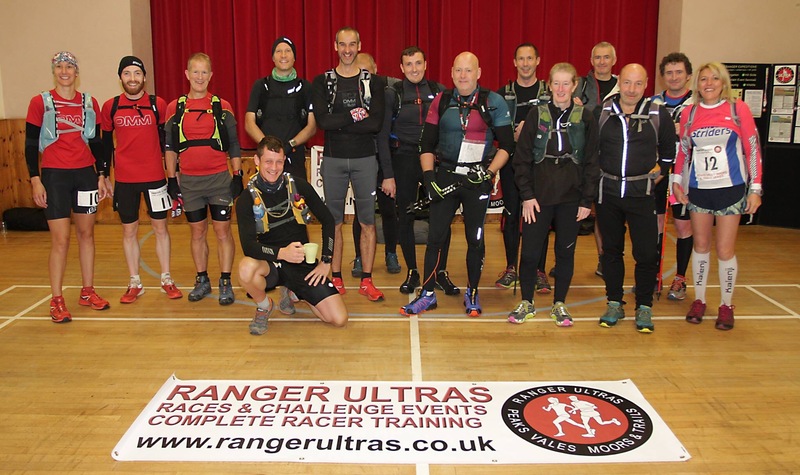 It was 8am on a bright and clear day at Hawes (Wensleydale Cheese land) where myself and 17 fellow runners headed out on the first Yorkshire Three Peaks Ultra Marathon organised by Ranger Ultras. The race consists of the Yorkshire Three Peaks sandwiched by two very boggy Fells with a total of 70km and 3200mt of ascent. The runners took a natural split into two groups and after our first checkpoint I fell into a great pace with a fellow runner who helped me giggle and chat throughout the rest of the race. Each Peak- Whernside, Ingleborough and Pen-y-ghent- all varied in its terrain which added to the challenge of the race. We were blessed with a beautifully clear day which provided us all with stunning views and helped ease any niggles that showed themselves. The support throughout the day was faultless with food, drinks and giggles a plenty. On the final leg we were presented with a stunning sunset over the Dales. The last boggy fell leading back to the village of Hawes was via head torch, even my shadow was running in a hobbling manner at this point, but the warm welcome and sense of achievement made me realise once again how much I love the world of running.